Is The New Eagles QB Actually Paul Bunyan? We now have our first backwoods Eagles Quarterback, complete with too-tall tales. Placed seventh, along with friend Jeff Gilbert, at a Texas big bass fishing tournament in February. Kolb once caught - or so he claims (wink) - a 250-pound marlin. What a beast. Somehow I don’t think a few wide-bodied defensive tackles are going to rattle Mr. Bunyan much. 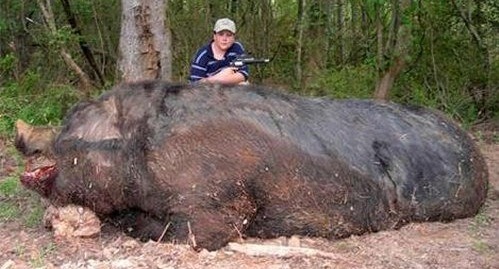 Tagged with Kevin Kolb, Hog Hunting.